Apple TV 4K is here. It adds 4K HDR to the existing Siri, third-party apps and game controllers, new Home screen, Apple Music, and TV app experience. Here's everything you need to know to get started. If you want a quick guide on getting your Apple TV up and running, we've got walkthroughs for setting up your set-top box with either your iOS device or manually. 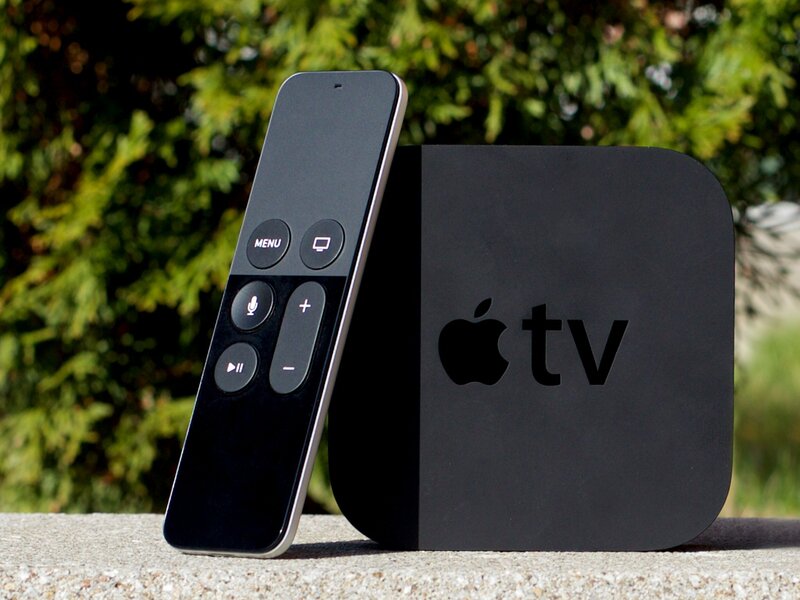 Apple's new set-top box retains the sleek black look of its predecessor—albeit with a few changes. It's fully 4K and HDR — that's high dynamic range — now. Even the interface is in P3 wide gamut color. It's also got a more powerful processor to run all those new, deep pixels. Functionally, it's similar to the 2015 Apple TV, but that still means there's lots of new stuff for new owners to get to know! The new Apple TV comes with the newly-redesigned Siri Remote: Not only does it have the same Menu and Play/Pause buttons we know and love from previous Apple TV models, but it also offers a Home button to return to the main screen, volume controls, a touchpad and embedded click, and if you're in Australia, Canada, France, Germany, Japan, Spain, the United Kingdom, or the United States, Siri functionality. The Siri Remote is designed to navigate through the Apple TV's interface, keyboard, and apps, but you can also use it as a motion-sensitive game controller and turn it horizontally for other game or app uses. You can navigate the new Apple TV by using the touchpad at the top of the remote; to select an item, tap or press firmly to click on the touchpad. The Home button (looks like a TV) automatically returns you to the Home screen, no matter where you are within an app. You can double-press it to display all currently-running apps as title cards and switch between them, iOS-style. The Siri Remote uses a Lightning port to charge: You can plug it into any existing lightning cable or dock you already own, and it charges quickly; fully-charged remotes should last around three months before needing another power-up. You can currently have only one Siri Remote connected at a time, though you can use third-party controllers, universal remotes, or a previous-generation Apple TV remote simultaneously. If the Siri Remote isn't quite cutting it, you can augment your Apple TV with a number of different accessories. Universal remotes work with the new Apple TV, as do third-party Made For iPhone (MFi) game controllers; you can also connect Bluetooth headphones to your Apple TV for a more personal listening experience, and Bluetooth keyboards for greater typing control. You can simultaneously connect a maximum of two Bluetooth devices to your Apple TV at one time: This means you can either have two third-party game controllers connected, or a game controller and Bluetooth headphones. If specific apps support them, you can also connect your iPhone, iPad, or iPod touch to your Apple TV to use as an auxiliary controller. Outside of apps, however, there's currently no great way to control your Apple TV with your iPhone besides limited support in the company's own Remote app. Apple TV 4K is powered by tvOS, Apple's set-top version of iOS. Unlike its predecessor, tvOS's interface is primarily off-white, with big, colorful rectangular icons that, when selected, display in parallax (they shimmy ever so slightly when moving your finger on the touchpad). The top row of the tvOS Home screen is called your Top Shelf: Like with your Dock on iOS, you can choose up to six apps to reside there. When selected, Top Shelf apps are also allowed to display additional preview content along the top of the screen; for example, Hulu displays a list of currently-popular shows on its streaming network. All your other apps live below the Top Shelf, arranged in rows of six. You can move an app by selecting it with the touchpad and clicking and holding; release the click and swipe to move the app up, down, or side-to-side on your Home screen. iTunes Movies: Movies from the iTunes Store, including your previously purchased or rented content. iTunes TV Shows: TV shows from the iTunes Store, including your previously purchased or rented content. The App Store: The Apple TV's store for third-party TV apps. Photos: An app for viewing your current iCloud Photo Library, Photo Stream, and Shared Photo Streams. Music: An app for your personal music collection and access to the entire Apple Music library, including music videos. Search: The Apple TV's universal search bar. Computers: Any iTunes music and video libraries you've added to Home Sharing will show up here. Settings: The place to change your Apple TV's settings. TV.app — everything you need to know! Though tvOS apps and iOS apps have different underlying code, Apple is allowing developers to sell their apps in "Universal" bundles: This means that you may get the tvOS version of an app for free if you already have its iOS counterpart. You can check to see if you have any tvOS apps available for download by going to App Store > Purchased. Once you've downloaded and installed some apps, you can launch any program by selecting it and clicking on it; to exit an app at any time, click on the Home button, or repeatedly click the Menu button to back out of settings. We hope you enjoy your new Apple TV! If you have any specific questions or requests, drop them in the comments and we'll try and tackle them ASAP. In the meantime, you can also check out our Apple TV tips channel for everything we've written on it so far. Updated December 2018: Updated for tvOS 12.